Really tough par 3 at over 200 yards but plays downhill. Five bunkers capture any misshit shot and guard a large green that is over 100ft long from front to back. 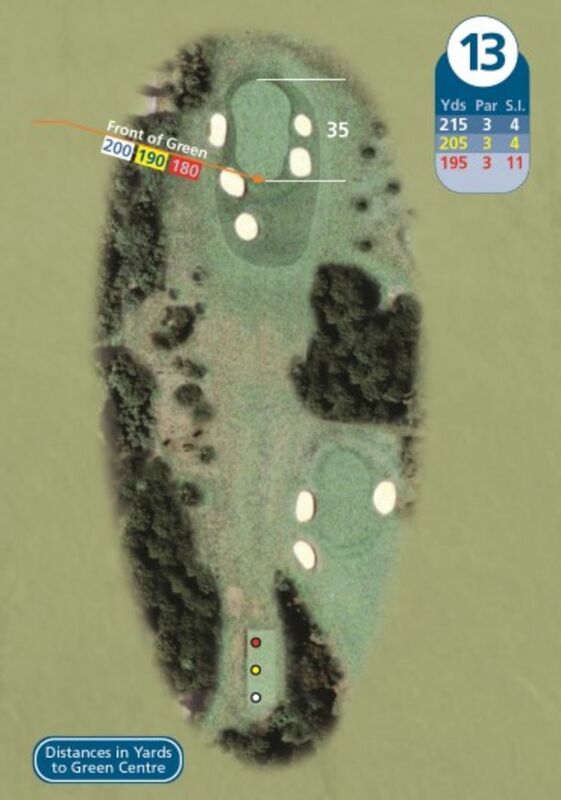 There is a little more room to the right, but don't be surprised with a bogey 4 here.